How healthy are your fresh meat, fruit and vegetables? Are you being exposed to dangerous agricultural chemicals? Many farmers apply too much fertilizer. This can result in unsafe levels of fruit nitrate and vegetable nitrate content. It’s especially dangerous to children. Excessive nitrate consumption causes blue baby syndrome and adult methemoglobinemia. Nitrates significantly increase the risk of diabetes, Alzheimer’s and Parkinson’s disease and certain types of cancer. Our company dedicates ourselves to changing the quality of life and protecting us and our children from the infringement of harmful impurities, nitrates. As a result, a revolutionary new food safety testing device Greentest, has been developed, which allows detecting fruits and vegetables cultivated improperly and evaluating the concentration of nitrates. It helps us satisfy our “greenlife” desires to rub the lamp. 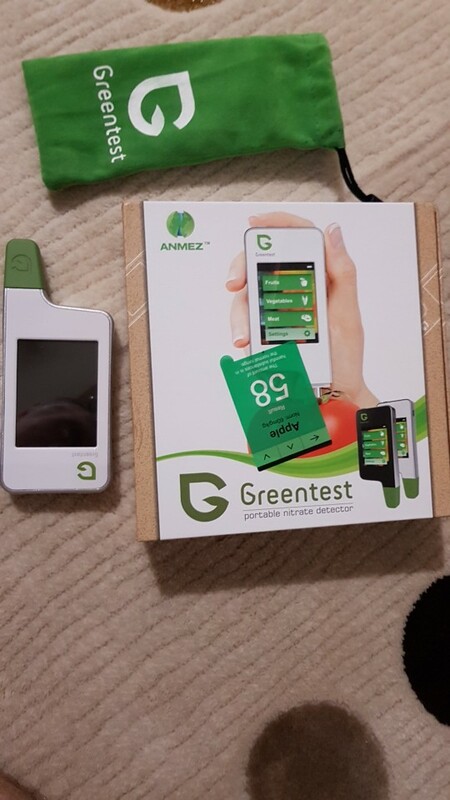 The Greentest, food safety testing device, helps people to make healthier choices about their food. The innovative device also helps people in the food business make healthier decisions about the food they choose to grow and sell. It is suitable for small-scale farmers, distributors, store owners, caterers and more anyone with a stake in serving up healthy food. Unlike other methods and equipment on the market, it’s an easy to use food safety testing device with a simple interface and clear, unmistakable results. This device accurately to test dangerous nitrate content in meat and more than 50 types of fruit , vegetables as well as background radiation and radiation levels of particular object. Our scientists developed the Greentest nitrate content protocols by using a mass spectrometer to determine nitrate levels in a large number of fruit and vegetable specimens. The results were applied to test algorithms which have been coded into the Greentest device. The device has been extensively back-checked against specimens that were subsequently tested with a mass spectrometer. Best Testing & Analysis Corp.
We helps to fulfil the vision of healthier people, greener farming, a more sustainable society and a better world by greentest, which reveals the nitrate levels in fresh fruit and vegetables. excellent store! fast shipping! goods and good quality! him with recommend cooperate to i! excellent seller! fast shipping. high quality. recommend! all, it is fast, all and work perfectly clear. recommend. -20 days delivery. доехал goods without damage, beautiful original packaging, charger set case. durable and comfortable enough case. works (measures). not like resistive touchscreen, from емкостное not flated finger touch, by a touch. need to press enough strong, срабатывало to. Excellent product. works fine. Russian menu. delivered quickly. Goods received, works well. company solves the problem if there. I recommend to cooperate. tested it, is working very well. thank you. recommend this store. Very nice and useful device! Everything is ok. Tested. Works. No problem at all. Very fast delivery, thank you store.